The adductor canal (Hunter’s canal, subsartorial canal) is a narrow conical tunnel located in the thigh. It is 15cm long, extending from the apex of the femoral triangle to the adductor hiatus of the adductor magnus. The canal serves as a passageway from structures moving between the anterior thigh and posterior leg. In this article, we shall look at the anatomy of the adductor canal – its borders, contents and clinical relevance. 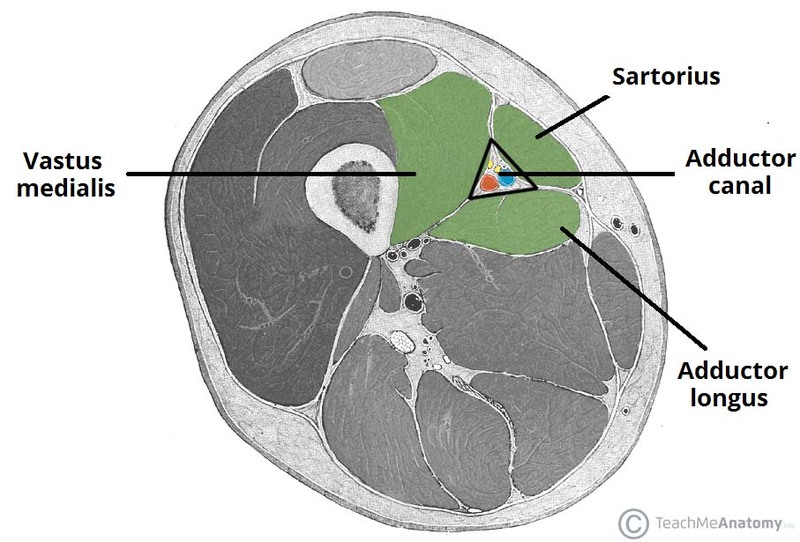 Fig 1.0 – Cross-section of the thigh, showing the borders of the adductor canal. Note: the adductor magnus is not visible in this illustration. The adductor canal serves as a passageway for structures moving between the anterior thigh and posterior leg. 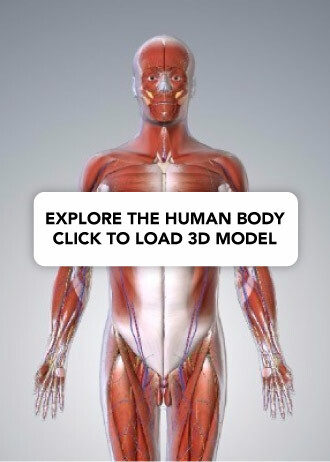 It contains the femoral artery, femoral vein, nerve to the vastus medialis and the saphenous nerve (the largest cutaneous branch of the femoral nerve). As the femoral artery and vein exit the canal, they become the popliteal artery and vein respectively. In the adductor canal block, local anaesthetic is administered in the adductor canal to block the saphenous nerve in isolation, or together with the nerve to the vastus medialis. The block can be used to provide sensory anaesthesia for procedures involving the distal thigh and femur, knee and lower leg on the medial side. The sartorius and femoral artery are used as anatomical landmarks to locate the saphenous nerve. Adductor canal compression syndrome describes entrapment of the neurovascular bundle within the adductor canal. A rare condition, it is usually caused by hypertrophy of adjacent muscles such as vastus medialis. It is most common in young males, who may present with claudication symptoms due to femoral artery occlusion (more common) or neurological symptoms due to entrapment of the saphenous nerve. Which of the following structures is located within the adductor canal? What structure forms the lateral border of the adductor canal?